← My Wake-up Call: Racism Will Affect the Outcome of this Election. Its been one heck of a week. I have been a little stressed out recently. I need some peace, some recentering, something zen-like, some way to quiet my mind. So this afternoon, while my youngest son naps and my older son watches his favorite show on TIVO, I am taking the opporitunity to reconnect with a certain beverage that is guarenteed to relax me during the tensest of moments. No, not vodka. I am simply having a cup of tea. I spent many years living abroad and you know what? Everywhere – but here – drinks tea regularly. It is what people do. Familes and friends take a moment in their day, they stop, they gather, they brew some tea, they sit while their hands are warmed by their mugs, they let the steam rise up to their faces, they drink, they reconnect and they relax. In Asia, Africa, Europe, and Australia… throughout the day, they drink tea. In the very simple act of sitting and putting a warm, healthy liquid into their body, they offer their minds, bodies and souls relief and repose. “Let’s have a cuppa…” What an excellent idea. Tell me again, why don’t I do this more often? And coffee is just not the same thing. Sure, its great to meet someone over coffee. But coffee hardly makes you truly stop in that moment. It fans the flames in your enigine… and off you go. Tea tempers the engine. It brings peace and comfort. It infuses the soul and replenishes our essence. Should I go on about the health benefits? Should I talk further about all the anti-oxidants and proven good stuff in tea such as… (lemme get this right)… phytonutrients? Just take my word for it, there’s good stuff in it. Not that this is any surprise. While drinking a cup, I feel healthy, righted somehow, recentered. Hopefully, you are considering having a cup for yourself. Just in that very act of having tea, you will actually be making time for yourself. Shocking, I know. What a notion. The world can stop for the moment it takes to drink one simple cup of tea. Be well, find replenishment, and enjoy. I love sitting and sipping a cup of tea. It’s just more peaceful than a cup of coffee, know what I mean? I’m usually just a winter tea drinker though. I only think about it when it’s cold. My day doesn’t start right unless I can have a cup of tea at about the same moment as I open my eyes! Thankfully I have Husband fairly well trained in that he gets up before me and so manages to time the placing of my first cup of tea to coincide with my return to consciousness – he’s a wonderful man! And then tea breaks generally punctuate my day at times when, as you suggest, I take a moment to sit down and breathe a breath, gather my thoughts and decide what to do next. I live in Britain, and it’s true that most of the people I know (other than my parents) do have regular cups of tea to get them through the day in a relaxed way! My mother in law drinks tea multiple times a day and she is fairly mellow (except when she’s annoying me, of course!). Your post relaxed me. Makes me want to go have some tea right now but I don’t have any in the house. Disastrous! I lives for me tea. In fact I think I’ll go put some water on right now! Thanks for the suggestion! We are big tea drinkers in this house! Coffee is for early am but the rest of the day it’s all about the tea. My fave Two Dove Silver Needle white tea or the chai tea or hubby’s fave Earl Grey! Loose teas especially, although I used a lot of raspberry leaf teabags during my last pregnancy! Happy 100th post, Caroline! 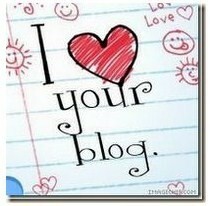 Come see your profile over at my blog to celebrate. I’m working on it getting it up now. My husband drinks a lot of tea. My fave is a chocolate mint loose leaf I got ages ago when I had some money to blow! Maybe I’ll go make a cup now. Happy 100th post! Nothing is better than a huge mug of tea, sitting in an overstuffed armchair, in pjs, when it’s cold outside. It’s so peaceful. You’re right, we could learn a lot from other countries. I have visited Europe often and love their stop-every-hour-for-a-cup-of-tea lifestyle. Happy 100th post by the way! I come from a culture of tea. Oh, how I look forward to meeting you and enjoying a cup of tea together. The vodka won’t be far behind though! So what type of tea are you drinking? Love my cuppa tea – have a herbal one almost each night! It’s always my soothing evening routine. Not sure if you will particpate or not but I taged you in a meme! Cheers! I used to drink tea but stopped for some reason…can’t even remember why. But I know that feeling you’re talking about where you can just sit and relax while drinking some tea. I think I have some tea somewhere in my pantry….hmmm, I may have to start tomorrow off with a cup of tea! Great post. I, too, drink tea religiously every night, and it helps relax me and get ready for bed. 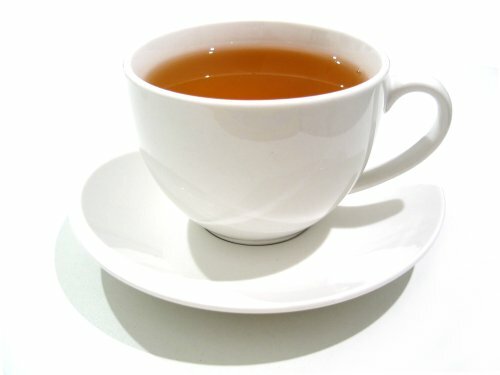 There are so many benefits in drinking tea and I agree that coffee just isnt the same. It just makes you FEEL different drinking tea.